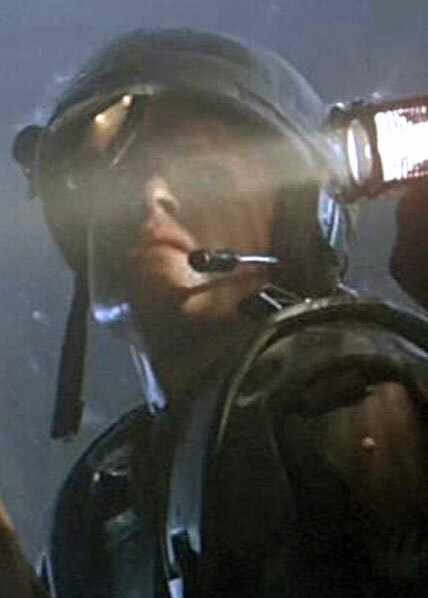 Corporal Dietrich was the field medic for the group of Marines sent to LV-426. She was quick to insult members of her squad when the chance arose, but was also a carrying and compassionate medic when needed. During the investigation of the atmospheric processor she was the first to discover a still alive and cocooned colonist. In the subsequent attack, she was the first marine attacked and captured, during which her flame unit hit Frost causing his death. It was later discovered that she was not killed during the attack and instead had been taken back to the Alien hive for impregnation. She died either due to the chest burster inside of her, or the explosion of the processor. As the field medic, Dietrich can optionally spend 3 turns getting an incapacitated marine back to wounded status. During these turns, she can make no actions. As an additional game scenario, because she was not killed during the initial attack, players can elect to try a mission to rescue her.